Before the wall was built, Berliners on both sides of the city could move around fairly freely. They crossed the East-West border to work, to shop, to go to the cinema. Trains and subway lines carried passengers across the city. After the wall was built, it became impossible to get from East to West Berlin except through one of three checkpoints: at Helmstedt “Checkpoint Alpha”, at Dreilinden “Checkpoint Bravo” and in the centre of Berlin at Friedrichstrasse “Checkpoint Charlie”. At each of the checkpoints, East German soldiers checked diplomats and other officials before they were allowed to enter or leave. “Except under special circumstances, travellers from East and West Berlin were rarely allowed across the border. The history of the Berlin Wall dates back to World War Two. The Berlin garrison surrounded six days before the end of the Second World War in Europe. After the war ended on 8 May 1945, much of Berlin is nothing but rubble. 600,000 apartments have been destroyed, and only 2.8 million of the city’s original population of 586,126 remains in the city. Berlin, the German capital, was likewise divided into occupation sectors; even though it was located deep within the Soviet zone. Tension grew when the United States, Britain, and France moved in, in 1948 Then came the Cold War. The Cold War was the rivalry between communist and non-communist countries, the United States and the Soviet Union, in particular, beginning after World War Two. Berlin was an especially tender spot, because it was the only gap in the Iron curtain, the wall of tanks, barbed wire, soldiers and guard dogs that separated East from West. People in Eest Berlin could fly out of the city freely. 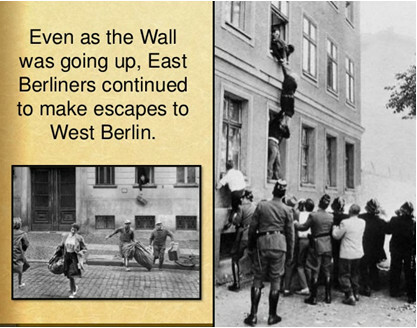 While the border between East Germany and West Germany was closed, there was nothing to stop East Germans from entering West Berlin and fleeing communist rule. Huge numbers of them did leave. “By 1960, tens of thousands of people were leaving every month”. In 1961, more than 200,000 East Germans had defected. This not only did it create an incredible economic strain, it increased tensions between East and West to an unbearable level. It seemed that an outbreak of violence was inevitable. 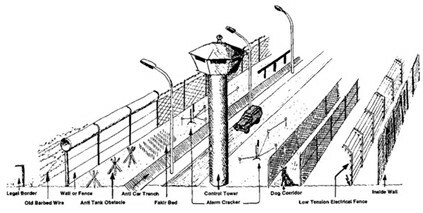 There had been rumours that something might happen to tighten the border of East and West Berlin, but no one was expecting the speed nor scale of the Wall. Freedom ended abruptly on 13 August 1961. East German soldiers laid down more than 30 miles of barbed wire barrier through the heart of Berlin. East Berlin citizens were forbidden to pass into West Berlin, and the number of checkpoints in which Westerners could cross the border was drastically reduced. On August 15, the barbed wire was replaced with concrete. 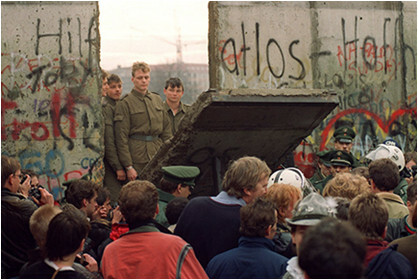 The Wall, East German authorities declared, would protect their citizens from the influence of capitalist culture. Berliners were shocked when they woke up that morning. What had once been a very fluid border was now rigid. No longer could East Berliners cross the border for operas, plays, soccer games, etc. No longer could the approximately 60,000 commuters head to West Berlin for well-paying jobs. No longer could families, and friends, cross the border to meet their loved ones. Whichever side of the border one went to sleep on during the night of August 12, they were stuck on that side. 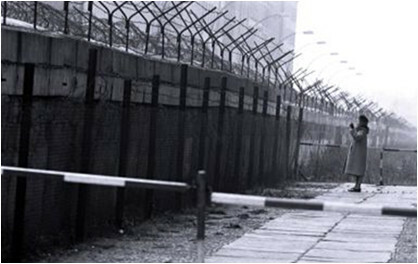 Before the Berlin Wall was built, many Germans suspected the border would be closed eventually. Some East Germans planned to move to the West, and took steps to make the move easier. Some residents of East Berlin took jobs in West Berlin. In some cases, fathers or mothers rented apartments on the other side and began saving money so their families could soon join them. When the wall went up, families were split apart. People who had spent the night in East Berlin, perhaps visiting friends, couldn’t return to their homes in the West. They were stranded. In a few places, apartment buildings made up part of the Berlin Wall. At first, people could simply enter one of these buildings, walk out a back door or window and enter West Berlin. But then all exits on the lower floors were bricked up, so people began jumping from second- and third-story windows, usually into blankets being held by West Berliners below. Eventually, these escape routes were also bricked over. “The East German guards were given orders to prevent anyone from crossing the border, using force if necessary. There was some dispute over whether the guards had official shoot-to-kill orders, but documents surfaced years later proving this was true. “Günter Litwin was the first person killed fleeing from East to West Berlin, shot by East German soldiers. One of the most dramatic deaths was that of Peter Fechter. 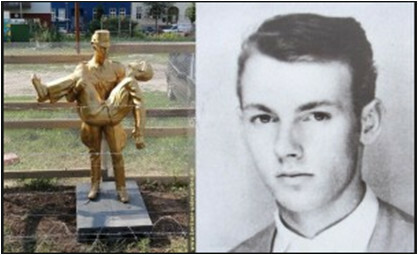 In 1962, he was shot by border guards, who left him to bleed to death slowly in broad daylight. The total number of civilians killed trying to get across the wall is in dispute. Some sources claim 86, while some claim 239 or more. The number is almost certainly more than 100. Even pregnant women were shot to death trying to escape. Life on either side of the wall was very different. West Germany was thriving economically, and West Berlin was no exception. Theatres, zoos, museums, shops and nightclubs lined the main streets. 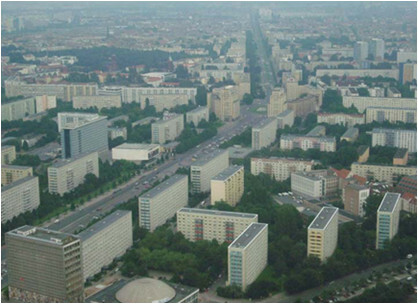 East Berlin was a typical communist city. The economy was depressed by the loss of so many educated professionals and the looting of the city by the Russians. Most buildings were drab, grey and nearly identical to each other. Citizens there could afford few luxuries. But the economic and aesthetic conditions weren’t the worst problems. 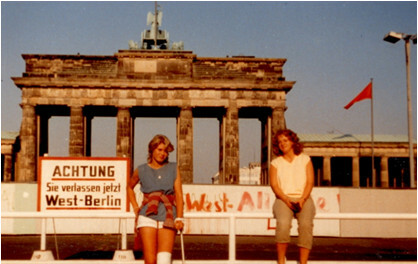 It was the atmosphere of fear that drove so many East Germans to flee. No one could be certain who was a member or informant for the Stasi. People were regularly taken in for questioning and often jailed for speaking out against the government — or if a neighbour simply claimed that they had. The fall of the Berlin Wall in the 1989 happened nearly as suddenly as its rise. There had been signs that the Communist bloc was weakening, but the East German Communist leaders insisted that East Germany just needed a moderate change rather than a drastic revolution. East German citizens did not agree. As Communism began to falter in Poland, Hungary, and Czechoslovakia in 1988 and 1989, new exodus points were opened to East Germans who wanted to flee to the West. Then, suddenly, on November 9, 1989 the Berlin Wall fell. 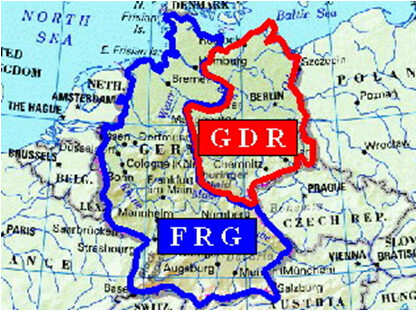 An announcement made by East German government official Günter Schakowsky stated, Permanent relocations can be done through all border checkpoints between the GDR (East Germany) into the FRG (West Germany) or West Berlin. People were in shock. Were the borders really open? East Germans tentatively approached the border and indeed found that the border guards were letting people cross. Very quickly, the Berlin Wall was flooded with people from both sides. 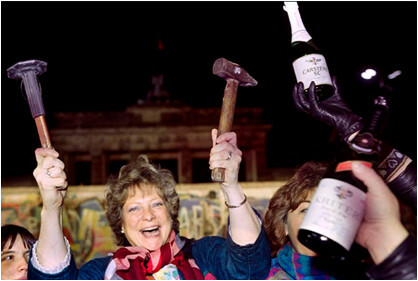 Some began chipping at the Berlin Wall with hammers and chisels. There was an impromptu huge celebration along the Berlin Wall, with people hugging, kissing, singing, cheering, and crying. The Berlin Wall was eventually chipped away, into smaller pieces (some the size of a coin and others in big slabs). The pieces have become collectibles and are stored in both homes and museums. After the Berlin Wall came down, East and West Germany reunified into a single German state on October 3, 1990. This Berlin Wall was significant to lives of many people through many ways. It was the centre of the lives of every persons living in Germany. People living in East Germany were unable to leave and people were unable to get many luxuries such as coffee. Many families were separated by the Wall. The Wall affected people in many different ways. It also shows how the Communists force their ways on East Germans. The Berlin Wall meant to many people a loss in human rights and freedom. It still shows through the rubble of the Wall, all the sadness and separation that happened in the time the Wall was up.